 Big thanks to Goldspot Pens for sponsoring edjelley.com! Goldspot is no stranger to the game, as they offer tons of the best brands of fine writing instruments the world has to offer. In addition to a wide selection of fountain pens, rollerballs, and ballpoints, they have an excellent online magazine that informs you about the latest products and how to use them. This month, they sent over a Lamy Aion in Olivesilver to review, so be on the look out for that soon! Goldspot Pens is also offering free engraved personalization on any of these 400 pens! This promo will run until Monday, February 5th 2018 at 2pm. Click here to shop at Goldspot! Pen looks absolutely beautiful! Thanks for the Friday fun.